Pyrotek provides acoustic and thermal insulation products for light rail, metro, commuter and regional trains, as well as intercity and high-speed rail locomotives. The company develops innovative, cost-effective solutions to meet rail industry requirements and regulatory demands. Locomotives often require acoustic treatment to reduce noise from enclosures, covers or engine rooms. Sorberbarrier™ is a high-performance foam absorber, which has been developed to meet market requirements to reduce noise in industrial and rail markets. 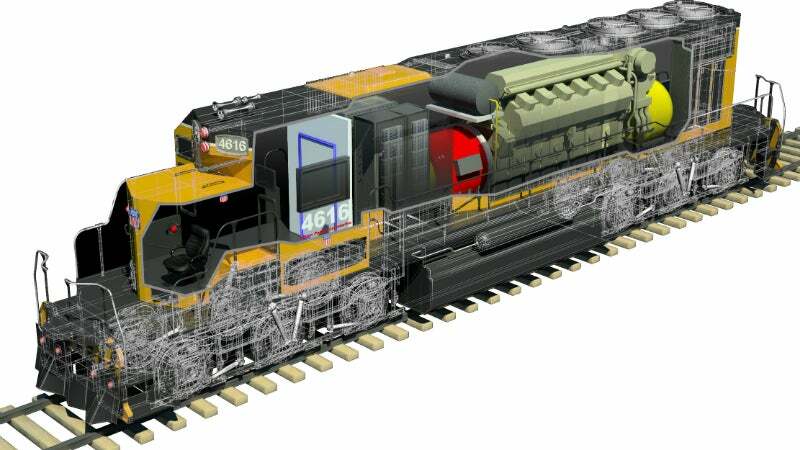 The product’s unique construction provides high noise absorption and reduces noise transmission for locomotives. Placing the mass barrier between two layers of absorbing foam separates it from the foundation, allowing it to remain flexible at all times. Sorberpoly™ is a lightweight, water-resistant and fire-compliant sound absorber made from ultra-fine fibres of non-woven polyester. It offers high levels of sound absorption and thermal insulation for rail vehicles. The product is engineered to reduce noise energy by converting motion into thermal energy through friction within the fibrous or cellular materials. Through ongoing evaluation and assessment, Pyrotek’s engineers have produced sound absorbers that offer excellent thermal properties with low-thermal conductivity, in order to bring dual benefits to its customers. Noise barriers effectively control sound transfer from rails or train engines. The world-class engineering team at Pyrotek® has developed Wavebar® to be dense, thin, highly flexible, tear-resistant and strong, in order to reduce noise transmission throughout various weight ranges. Installing Wavebar in transmission pathways decreases critical frequencies generated from mechanical equipment and engine noise, as well as prevents the occurrence of ‘coincidence dip’ resonance. Pyrotek’s Decidamp range includes specially developed damping compounds, extensional and constrained layer damping sheets and tiles, as well as vibration isolation pads. The company’s damping compounds are easy to spray, and can be applied using a trowel or roller. The elastic properties of the compound absorb and dissipate energy from the flexural stress of the base structure, reducing in-transit noise emissions. The noise control lab team in Australia took on the challenge of developing a variant of Wavebar that would meet the fire requirements of the project. This white paper aims to investigate the main sources of noise transmission and the effect on communities and passengers, as well as propose effective mitigation methods.